After a long and tiresome flight of twenty hours or so, from Kathmandu to Doha to Boston, I was happy to find Abanish and Namita waiting for me at Boston’s Logan airport and I was eager for an amazing US experience. I had thought that my world cup fever would subside in America but, to my surprise, Sanjeev and Ashay took me to Rudra’s house on the very first day to watch the semifinal match between Netherlands and Argentina. Muna, Erica and Mahika were already cheering and we joined them in watching the greatest show on earth. Boston is a city that blends historical artifacts with modern architecture in an amusing way. With summer specials in every store, cheerful people in every corner, and the sun setting at around 9 PM, summer is a great time to be in Boston. Harvard Square, Quincy Market, Downtown Boston and Park Street – you’ll never get tired of these places. In the corner of New England, there is a tiny town named Provincetown, also known as P town, which is famous for its beautiful and welcoming LGBT community. As a humanist and a believer of equal rights for all, I was very much fascinated with this small town and I recommend it as a must-visit place. Deerwalkers in the US have an interesting work culture where they work in three shifts. Morning shift (Nepal’s end of the day), Day shift (regular time for US office) and Evening shift (Nepal’s start of the day). Not to forget the longest standup in the world at 11:00 am :-). I, along with Ashay, tried some authentic Samuel Adams beer in a brewery. The beer was smooth and had an aroma unlike any that I had tried before. Nepalese never cease their Momo indulgence and hence the Momo party at Minal’s house with a bunch of Nepalese made me feel like we were partying back in K town. 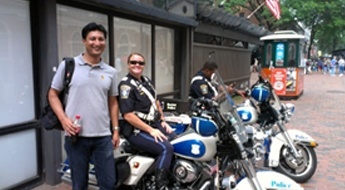 Apart from Boston, I took a trip to Baltimore and then to Ocean City. 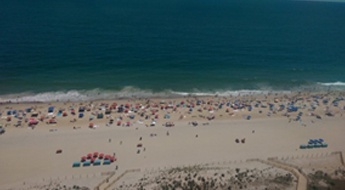 Not that it was my first experience in a beach town but Ocean City had a different aura; the food, the people and the entire town oozed a vacation mood. I also got to meet my only little sister, Ayushma, after two and a half years. Then, after a short stay of two days, I briefly visited Washington DC as well. The thirty days in the US passed in the blink of an eye. I want express my sincere gratitude to Jeff, Abanish, Minal, Smriti, Trilok, Namita, Anadi, Kevin and Rob for their hospitality. I am very thankful to Sanjeev and Ashay for being my guides and helping me out whenever necessary. I am also grateful to Deerwalk for giving me a chance to explore this country. Special thanks to Rudra and Jeff for creating this platform for Deerwalkers where we can aim higher and higher. 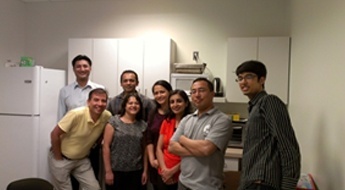 Ashish Shrestha, Senior Business Analyst, visited Deerwalk US office from July 8 to August 9, 2014.